The same solution can be written in a slightly different way as I would like to set the columns only once I have written about both the tables. Working in mysql. like this; but you must sure update table and table after from have be same. YES - there is no JOIN on purpose and NO - this can't be applied on table variables. I think if you use [_id] on your #SOURCE not [ID] the same as #DESTINATION's, they might let you do JOIN. "on #DESTINATION.ID=#SOURCE._id. Or even use table variable like @tbl, "on [email protected]_id". Have you tried? I am using a phone to reply this, no computer to try. What does this have to do with updating from a SELECT? +1 but you should have used relevant alias names like targett1 and sourcet1 rather than (or as well as) comments. 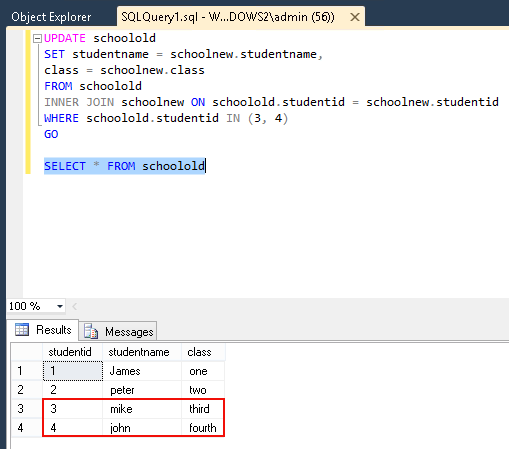 The other way to update from select statement What is the difference to other answers? Please elaborate your answer. Keep in mind: A good answer will always have an explanation of what was done and why it was done in such a manner, not only for the OP but for future visitors to SO. This answer turned up in the low quality review queue, presumably because you don't provide any explanation of the code. If this code answers the question, consider adding adding some text explaining the code in your answer. This way, you are far more likely to get more upvotes — and help the questioner learn something new. is there any meaning of the name CTE ? @ShivanRaptor - It is the acronym for Common Table Expression. Just an arbitrary alias in this case. This assumes none of the columns are nullable though. You're right, I was typing the example by hand. I've added a third and fourth clause to the where statement to deal with that. WHERE EXISTS(SELECT T1.Col1, T1.Col2 EXCEPT SELECT T2.Col1, T2.Col2)) is more concise. Martin - it took me a while to get the knack of what that statement does. "It's a select in a where clause but it's not a table subquery?" was a proposition I was having difficulty wrapping my brain around. Now that I've got it, I've come to learn how valuable a technique it is, especially for some kinds of Data Warehousing operations. Depends on if you want to replace nulls in the destination with nulls from the source. Frequently, I don't. But if you do, Martin's construction of the where clause is the best thing to use. Yours is formatted better; Also, when using a subselect, yours (and Adrian's) work more reliably than the other format. Thanks for posting your answer. Isn't this missing the WHERE clause in the question? 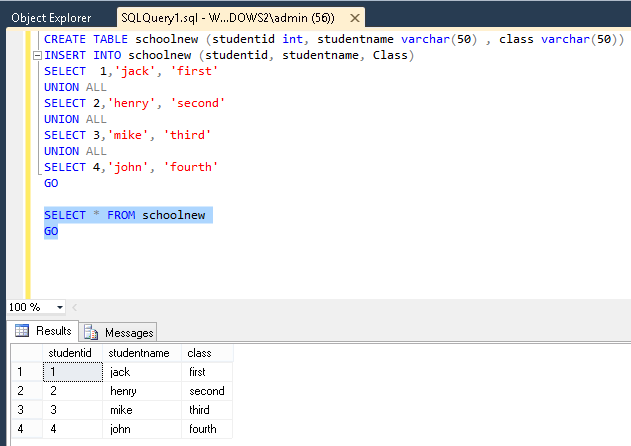 I don't have a server on this system to test it but wouldn't you be able to add that to the ON like: ON Table.id = other_table.id AND other_table.sql='cool'? Or am I misinterpreting the question? This works by using UPDATE to iterate over the INNER JOIN. As such the ON functions as your WHERE clause and the INNER JOIN skips records that are not found in the JOINed table. 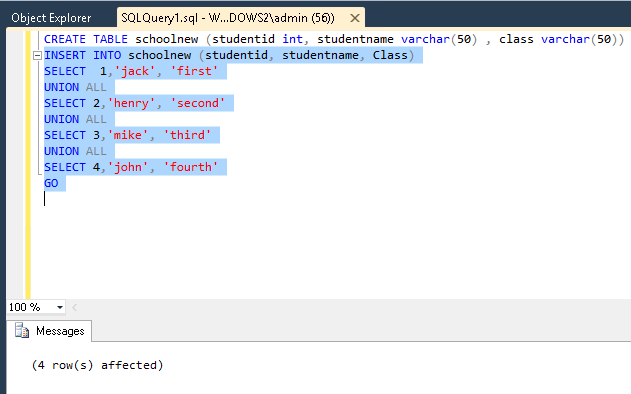 Adding a WHERE clause would limit the result set of the JOINed table as well. @Roger Ray what version of MySQL and what was your query, as this DOES infact function as stated. @RogerRay, this question is about Microsoft SQL Server. Unfortunately, the syntax between various SQL implementations can vary. This will tend to work across almost all DBMS which means learn once, execute everywhere. If that is more important to you than performance you might prefer this answer, especially if your update is a one off to correct some data. @dotnetN00b stackoverflow.com/a/2334741/206730 is not good for you ? This was around 10x quicker than the equivalent update...join statement for me. MERGE can also be used to DELETE. But be careful with MERGE as the TARGET table cannot be a remote table. Thanks for this, hadn't seen MERGE definitely like the syntax, and that you can use aliases (which don't work in the update/set/from) much better... I've been using WITH statements for the query part. If I can't guarantee teh results of a merge, and I can guarnatee the results of doing separate insert and update statments, then it is a bad idea to use merge. @HLGEM: ...I assume you are aware of the case where the result of an UPDATE..FROM is not guaranteed? (hint: many side of a one-to-many join where the result is arbitrary) Is that the kind of 'bug' you are alluding to? 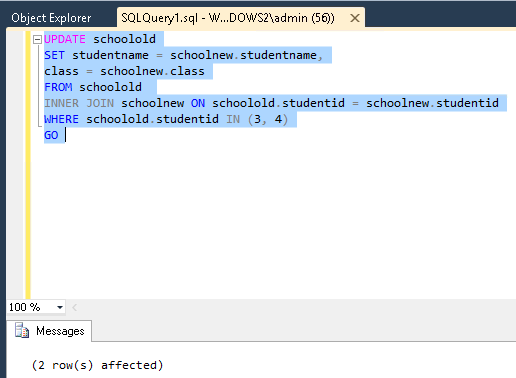 @SimonD: pick any SQL Server keyword and you will find bugs. Your point? I wager there are more bugs (and more fundamental ones too) associated with UPDATE than MERGE, folks have just learned to live with them and they become part of the landscape ('features'). Consider that blogs didn't exist when UPDATE was the new kid on the block. Portability note: MERGE is ANSI SQL; UPDATE...FROM is not. Having used both, I find MERGE semantics more intelligible - I'm less likely to mess up doing a MERGE than an UPDATE...FROM. YMMV.